This month's newsletter is full of helpful and realistic how-tos, from choosing the best real estate agent for you in Paris to planning a summer vacation to throwing an easy dish on the grill for those lazy summer nights. Family vacations conjure up images of a family having fun on the open road. Each member has their own opinions about where to go and what to do on vacation, making planning frustrating. Here are some tips to planning a vacation that everyone in your family (even your teenagers) will talk about for years. What is our budget? If the kids insist on going to Disney World and it’s not in the budget, you’ll have to tell them to compromise and choose another destination that will offer just as much fun and adventure. How long will we be gone and how are we travelling? Factor in your driving time into how long you’ll be gone so that you don’t over extend yourself and have to rush back home earlier than expected. How far are we willing to go? If you're taking a family road trip, then you'll want to stay within a few states of your home state in order to avoid fatigue and restlessness while driving. But, this depends on how many drivers and the number of days you'll be gone. What are we into? Think about everyone’s interests and what they might like to do. This is a question you’ll need to ask before and after you choose your destination. Even if you agree on a destination, each person will want to do different things, so prepare to narrow down your activities. Once you’ve answered those important questions, the rest of your vacation planning should be pretty easy. I've listed a few websites that you can use for inspiration when planning your family vacation. Travel Muse gives you travel ideas, organization and itineraries. Just name where you want to go and the site gives you suggestions for attractions. 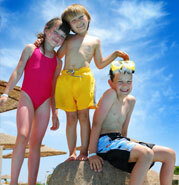 Tots and Travel gives reviews of kid friendly vacation destinations on every scale and for every budget. Road Trip America is an extensive site dedicated to the open road with driving routes and local attractions for cities around North America. Make sure to check out my upcoming open houses at SHERRY DICKSON TEAM / Harold Carter Realtors. I hope to see you there! It’s summer and it’s time to fire up the grill. To keep those sizzling meals tasty, I’ve got a few tips for keeping your grill clean and working like new. No matter if your grill is charcoal or gas, clean it after every use. Wiping out the grill makes the task of cleaning to store a lot simpler. When it’s time to store that gas grill, you want to make sure to do a thorough deep clean. After every use, clean the grates with a wire brush while they’re still warm. It’s easier to get charred food off of the metal before it becomes impossible. When it’s time to throw something on the grill again, let the grill heat for about 15 minutes to burn off left-behind soap. Keep in mind that if you’ve got cast iron grates, care for them like you would a cast iron skillet. Use oil on them and allow them to season. For some creative (or easy!) summer recipes when you want to pull out your trusty grill, check out AllRecipes.com. A smooth selling process happens because you have a committed, knowledgeable agent. As a well-connected agent, I can get the results you want, whether you’re buying or selling. • Keep your interests at the forefront during the transaction. 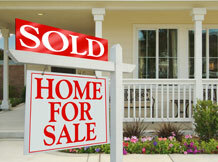 • Price your house at an amount you’re happy when selling. • Have availability when you need them. • Make sure you know what’s going on so you’re empowered to make decisions as a buyer or a seller. As a top agent in Paris, I'll available to answer any questions you have as they come up. If you’re looking to buy or sell, or know someone who is, let me know.